Easter is less than a week away; are you ready? We are! 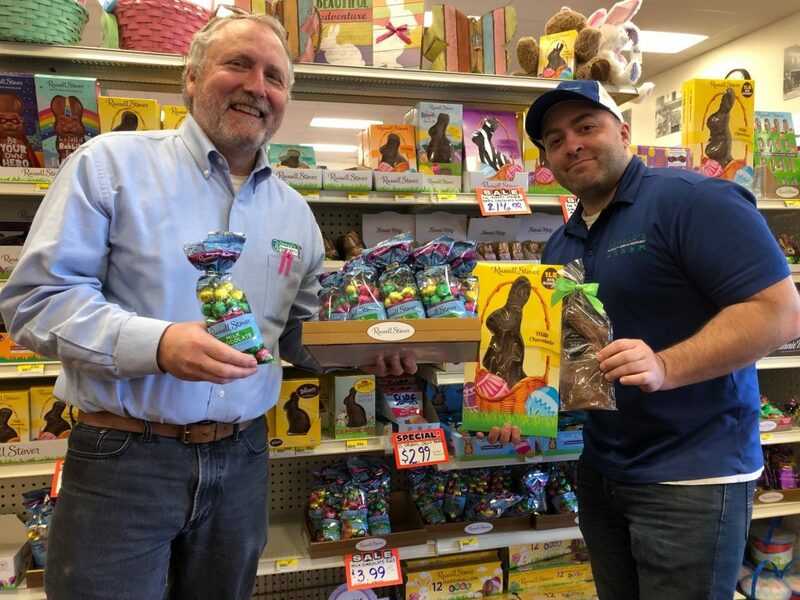 If you are going Easter shopping in Naperville, don’t forget to swing by Naperville Plaza and pick up the best Treats at Ozzie’s! What are the best treats? I’m glad you asked. What is an Easter basket without a chocolate bunny? An unfinished Easter basket. If you’re still looking for the perfect chocolate bunny, we have some great options. Fannie May Solid Milk Chocolate Rabbits 1oz ($1.79) – Delicious Fannie May chocolate covered in decorative foil. This is a staple for any self-respecting Easter basket. Fannie May Milk Chocolate Foil Bunnies 2.25oz ($3.99) – The big brother of the 1oz Fannie May chocolate rabbit, these guys don’t mess around. Wrapped in gold foil around a 3D chocolate rabbit mold, this bunny looks great in any Easter basket! Russell Stover Solid Milk Chocolate Bunnies 1.5oz (99¢) – Another Easter classic. Russell Stover chocolate bunnies come in a box with a clear face. No beating around the bush; the chocolate you see is the chocolate you get! If you’re looking for an Easter basket goodie that looks cooler than traditional chocolate bunnies, we’ve got you. Check out some other chocolate bunnies. Keep in mind, these bunnies are for the more adventurous parent or grandparent. 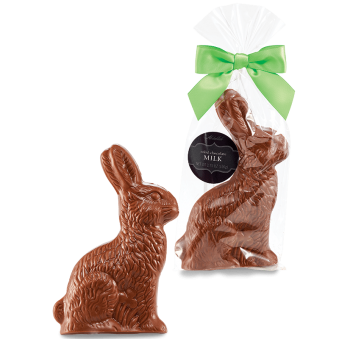 Abdallah Solid Milk or Dark Chocolate Bunnies 3.75oz ($4.50) – Our newest candy line has some of the best handmade chocolate around. Available in milk and dark chocolate. What more could you want? What’s that? More chocolate? Try the 6oz. version (available in milk or dark for $6.25). 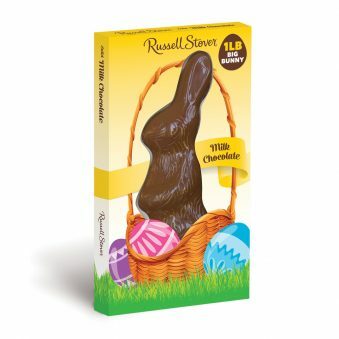 Russell Stover 1 POUND Solid Milk Chocolate Bunny ($10.99) – If the 6oz. Abdallah still isn’t enough chocolate for you, this one should do the trick. This thing is HUGE! If you want to make a statement with Easter candy, look no further. Russell Stover Marshmallow Chocolate Bunny 2oz (99¢) – A chocolate bunny with substance. These bunnies are a graham cracker short of a stand-alone smore. Sounds good to me! An Easter basket can’t be just chocolate bunnies. This is why we stock all the other essentials for Easter. Russell Stover Milk Chocolate Eggs Bag 9oz (SALE $3.99) – A 9oz bag of bite-size chocolate eggs. Great to share with a few friends or to fill a candy bowl with. Versatility is a great thing when you have lots of people to buy for. Make your job a bit easier—pick up a bag or two of these eggs and sprinkle them into all your Easter baskets. An easy way to round out all your baskets. Cadbury Crème Eggs (99¢) – My personal favorite. It wouldn’t be Easter without a chocolate shell filled with sugary goodness. Adding one Cadbury egg to a basket is a great touch. Adding two Cadbury eggs to a basket is a sign of love. Just trust me on this one! Brach’s Jelly Bird Eggs Bags (SALE $2.00) – Available in assorted flavors or black licorice. Which Jelly Bird Egg flavor tastes better is a hotly debated topic. Don’t be that guy who only buys one flavor for Easter. Buy one of each and let the good times flow! 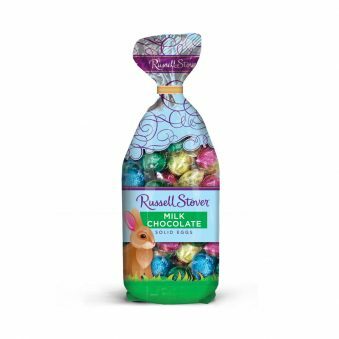 Russell Stover Iddy Biddy Bunnies 1.4oz 50 Bunnies ($1.49) – OK, I lied—you actually can make a pretty decent basket with just chocolate bunnies. Each bag contains 50 small chocolate bunnies. How small are they? It’s right in the title! Iddy. Biddy. We carry all the Easter basket accessories, not just the candy (although I wouldn’t complain about a pure candy basket). Party goods, real egg coloring kits, Easter grass, stuffed animals, greeting cards, plastic pastel eggs (6,12,18 counts), and much more is all in-store! What are you waiting for? Get your rear in gear and get your Easter basket shopping done all in one place. We don’t have unlimited stock—the longer you wait the greater the chance that something you want is gone. Stop by ASAP for the best selection! 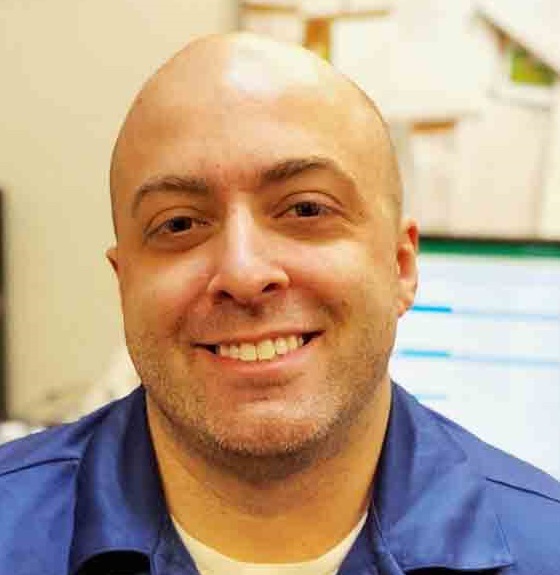 If you are looking for anything specific, don’t hesitate to give us a call. We’re open 7 days a week and always willing to help holiday shoppers who are short on time.